NEW YORK — SAP SE Monday announced findings from a commissioned survey of health care executives conducted by Porter Research on behalf of SAP. The December 2018 survey polled 100 healthcare CEOs, CFOs and CIOs to delve deeper into their key issues for health systems and how they will prioritize new technology investments over the next three years. This announcement was made at HIMSS19 global conference and exhibition held February 11-15, 2019. • Health system executives believe that the keys to reducing costs and improving patient experience include strengthening operational efficiencies, enabling interoperability, increasing visibility into data and improving patient engagement. 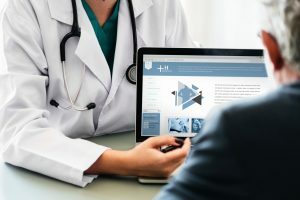 • Health systems are investing in solutions to support financial departments, improve patient engagement, allow interoperability and provide visibility into data across the enterprise. The health care industry will continue to seek ways to reduce costs, as more than half the survey respondents stated that declining reimbursements are a top challenge. Participants agreed that technology will be the key in helping them to improve efficiencies, which is only accomplished through interoperability of their systems working to provide the added visibility and intelligence needed to identify inefficiencies. Shifting to a model where the patient is at the core will continue to be top of mind for health care providers, as they drive to improve the patient experience through quantitative, measurable means. And modernizing the patient experience aligns with new reimbursement models, where healthy patients mean better financial outcomes. The responders shared that the greatest impact on improving patient experiences is data sharing between providers, payers and government and industry. Respondents claimed that integration and visibility into clinical and financial data will have the greatest positive financial impact in healthcare. Gaining visibility across a healthcare enterprise will help to turn data into intelligence, thereby reducing costs. Through this visibility participants feel that the health care system will improve resource capacity and productivity, and reduce scheduling bottlenecks. Health care systems are shifting their current culture to become patient-centric organizations. This shift is recognized by more than half of the respondents indicating they will invest in patient engagement technology as a top priority in the next years.